For more than 200 years Presbyterian women's groups have strengthened the Presbyterian Church and played a role in sharing the good news of Jesus Christ. We raise money through our Spring and Fall Frito Pie and Bake Sales and by collecting donations from our members at each meeting. We use the money we raise to help charitable organizations, our community, our church members, and our church whenever there is a need. 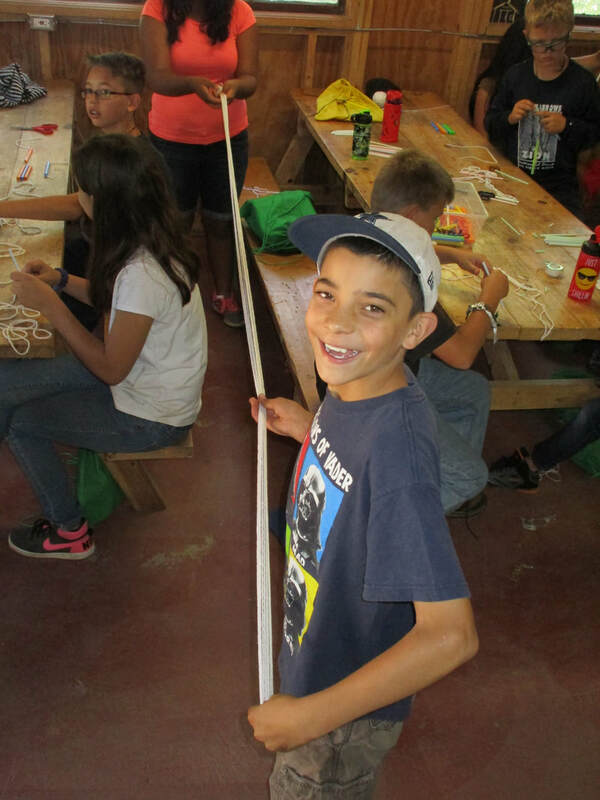 We provide scholarships for children to attend summer camp at Loma Verde Presbyterian Camp. Below are Sadie, Emma, and Barb serving Frito Pies and two of our kids attending summer camp. 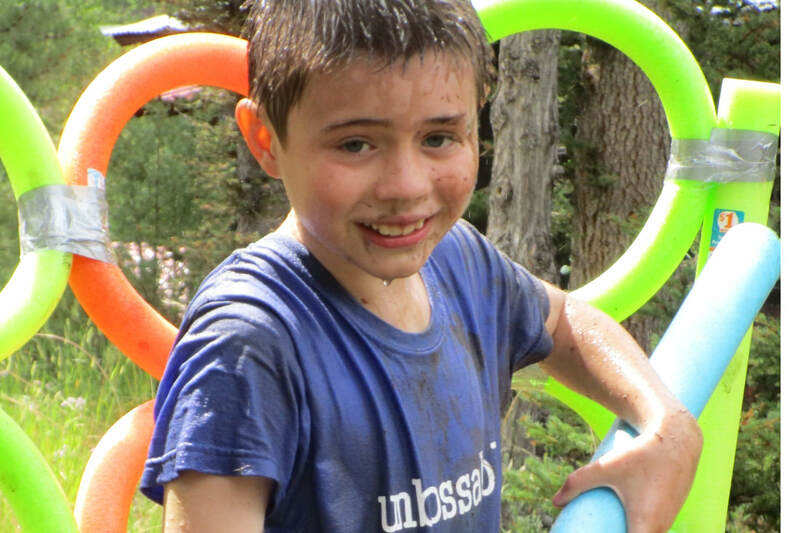 Jeremy is doing Arts & Crafts and Zack is muddy from the Obstacle Course. The Women's Missionary Society meets monthly, shares devotions, and discusses areas within our church and community where we can be of assistance. Fellowship and potluck dinners follow our meetings. In addition, we have a number of yearly events: Valentine's Day dinner at El Monte Sagrado, our summer picnic (date to be announced), Thanksgiving dinner at the Ranchos Plaza Grill, and our Christmas Party in the Fellowship Hall. We do not meet in January. All Women are invited to WMS monthly meetings and special events. Men are invited to join the potluck dinners that follow monthly meetings as well as most of the yearly events. 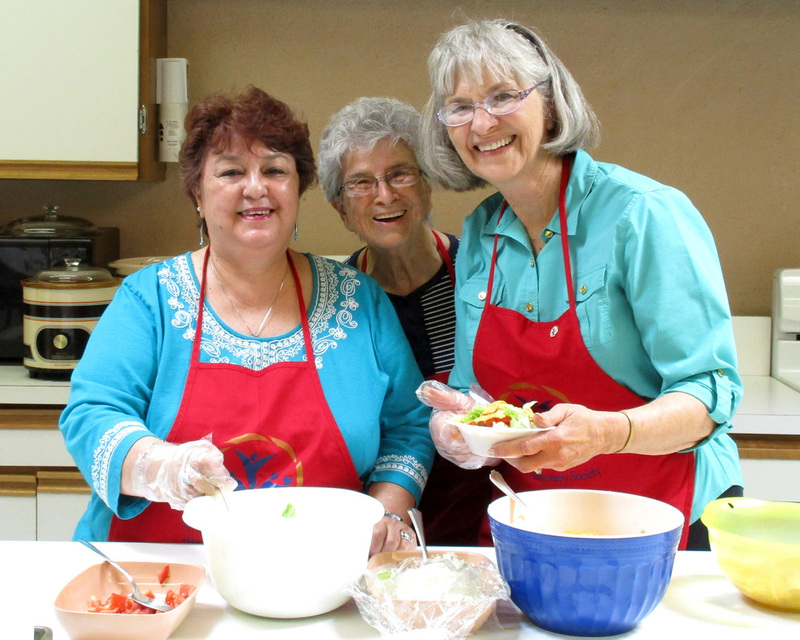 The Women's Missionary Society dinner meeting will be on Tuesday, March 5, 2019 at 6 pm at the Ranchos Presbyterian Church. All women of the church are invited. The men are invited to join the women for the meal. Our Secretary Emma Gomez passed away on June 12, 2018. May she rest in peace with our dear Lord. She is pictured above in the first photo.